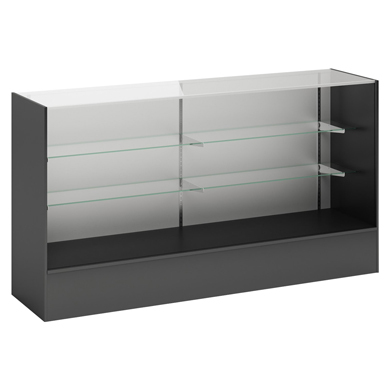 These Showcases are fully modular to mix and match to create a functional service counter. Showcases has 2 adjustable 3/16 inch glass shelves. The shelves are 8 inch and 10 inch wide to be staggered to display more products. Ships assembled. Lights sold separately, search item 3577.